The Bradford Pear tree, a variation of the Callery Pear which is native to China, was developed in 1963 by government scientists in Prince George County Maryland. It quickly became widely adopted for its quick growth and pleasing colors that lasted well into fall. This ornamental fruit tree with its snowy white spring blossoms became very popular. Neighborhoods and individuals across America have planting Bradford Pear trees for years. They provide almost immediate gratification when it comes to adding beauty to your yard or along a city boulevard. Growing to a height of about 30 to 40 feet, the Bradford Pear tree’s foliage forms a nice tight round ball shape that looks very appealing — at least for awhile. Unfortunately, like many things originating in China, the Bradford Pear tree seems to have earned a rather questionable reputation over the years and has lost favor with many gardeners. As quickly as they grow, the lifespan of the Bradford Pear tree is only about 20 or 25 years. More concerning is the fact that, in all likelihood, most Bradford Pear trees won’t make it through their expected lifespans intact. Bradford Pear trees are notorious for having limbs which split away from the main trunk. With weak crotches that allow large limbs to snap off without warning, many a car has been damaged extensively from such occurrences. Even the U.S. National Arboretum has removed the Bradford Pear trees that once lined its parking lot in order to avoid further damage to vehicles. On the other hand, the Bradford Pear tree is very disease resistant. While sickness and disease are not unheard of with Bradford Pears, the fact is that ice storms or high winds are much more likely to kill off a Bradford Pear than sickness or blight. Even the snowy white blossoms (which are beautiful to look at) have a putrid odor to them. The fruit is equally unpleasant. Beyond possibly making wine with them, the small woody berry-like fruit is just another cleanup issue to deal with. Environmentalists have labeled the Bradford Pear an invasive species, since it has crossed with other Pear varieties, reproducing very rapidly and spreading through many public areas. If left to their own devices, runners will proliferate and turn the area into a tangled thorny mass. Many communities have adopted programs to rid themselves of this problematic tree. 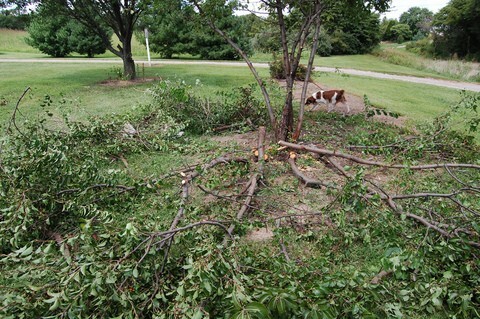 However, getting rid of a Bradford Pear tree requires more than simply taking down the tree. The fact is the tree, stump, roots and all must be taken out of the ground, or the Bradford Pear tree will regenerate very quickly. Maintenance is the key to keeping the Bradford Pear tree looking good and staying contained within the area where it is intended to be. In fact, too much pruning is just enough! Trimming and pruning Bradford Pear trees is mandatory. That is, unless you choose some alternatives to the Bradford Pear. While the Bradford Pear is a tree with a troublesome reputation, if you don’t mind the ongoing maintenance that’s required, Bradford Pears might be worth the effort to you. Admittedly, they can be a beautiful addition to the landscape. But, like many things, beauty doesn’t come cheap or easy. 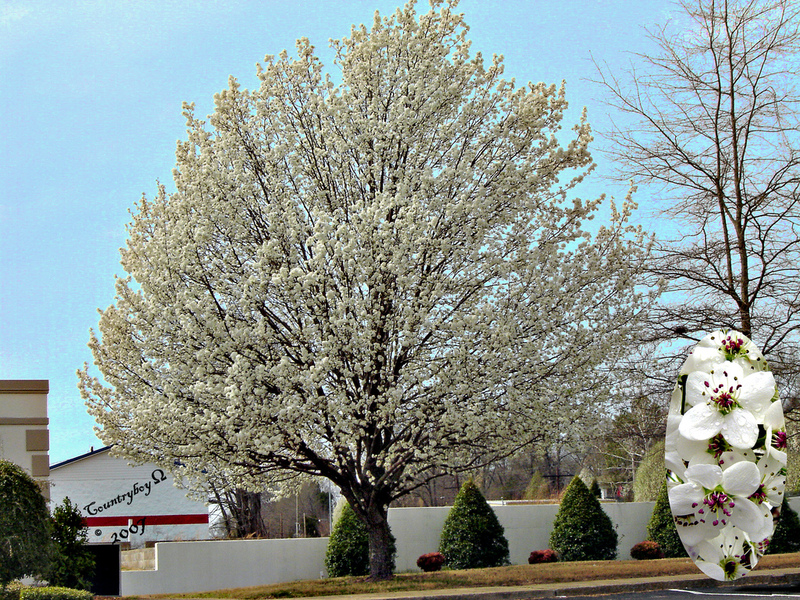 Bradford Pear Trees – To Plant, Or Not To Plant?